In order to establish a small business online there are various things we need to take care. From building a website to promotion it takes almost 90 days for a website to establish a good rank and position in search results. All the four speakers suggest plans and strategies on organic, ppc, local and analytics which can help a business grow and return a good ROI. Keyword research is the foundation or the pillar for a website. Have top 2 or 3 keywords which are core and 6 to 8 secondary keywords. 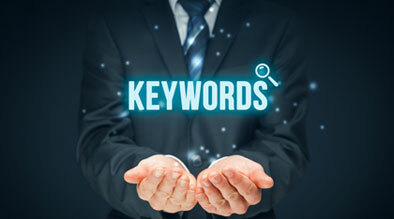 Make sure each page include these core keywords and then the secondary keyword. Enrollments on major directories are important like Yahoo, Best of the web, relevant local and niche directories. Use word tracker tool and find more search phrases. Try to include all these keywords back in the pages. Physical address and phone number must be unique at all time. Address must match all listings and directory submissions. Write out “Location/Directions” page. Write directions, try specifying the landmarks. According to Nielson Company: 90% of consumers trust reviews from people they know. 70% trust reviews from people they don’t know. Target reviews wisely depending on industry. Reviews on Citysearch, Insider Pages is very important. What’s the issue? Set Goals, evaluate site (align goals with site), evaluate competition. Make .xls spreadsheets with past data for analysis. How will you measure? Online: Google, Yahoo, Microsoft conversion tracking. Offline: phone reports. Find a couple of obvious negatives. Write Ads: Try a couple basic message & styles. Match offer with landing page promoting same offer. Bing is easy conversion, less competition. Copy past all. According to Kayden Kelly, here is the 90 Day SEM Fitness Plan focusing on Conversion and ROI. Kayden Kelly also talks about some tools in helping us analyze the conversions. Let users design your site. Qualitative Surveys 4Q surveys (free tool):http://bit.ly/top50sessj.com has more than 50 tips which are very small and basic things but are highly important.